In an earlier post, I discussed my general aversion to wearing metal bracelets on a watch for a prolonged period of time. This most recent watch provides an all too common example of everything I described in that post. 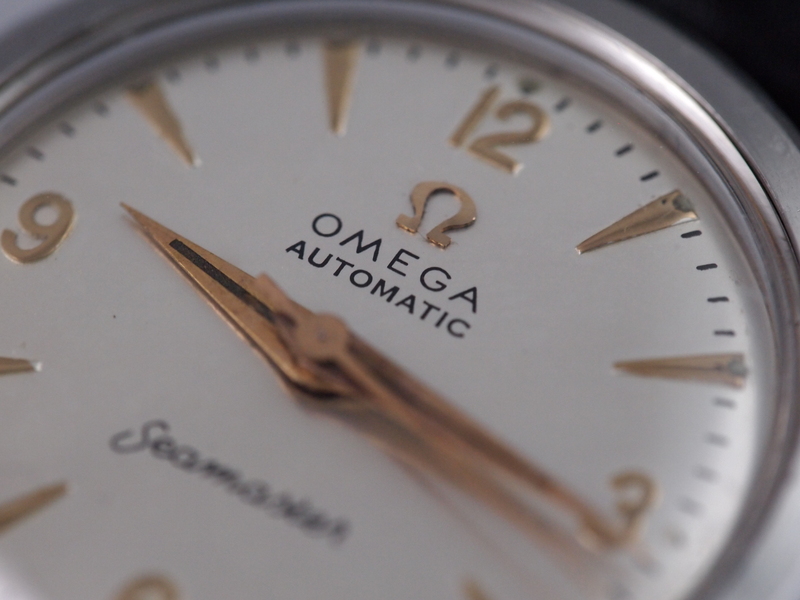 Band aside however, this is a great vintage Omega that was in dire need of some TLC. A friend of mine complained that his watch was running fast and that the band pins kept coming out. The problem had gotten so bad that he could no longer wear the watch. I took the watch in and got to work on it. 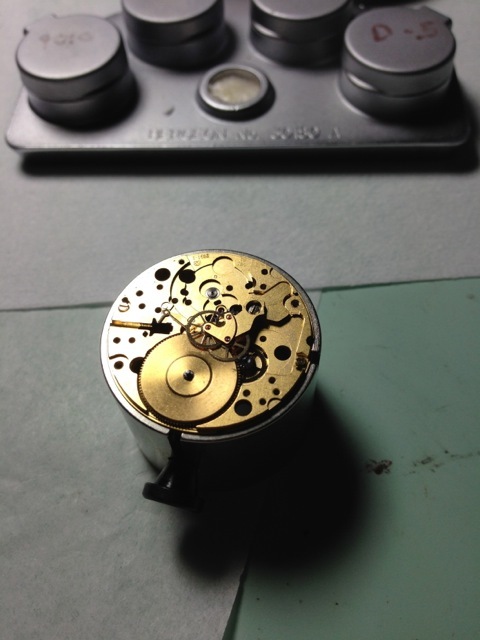 First I fully disassembled the movement to check for wear and damage. Fortunately only two pieces needed to be swapped out. 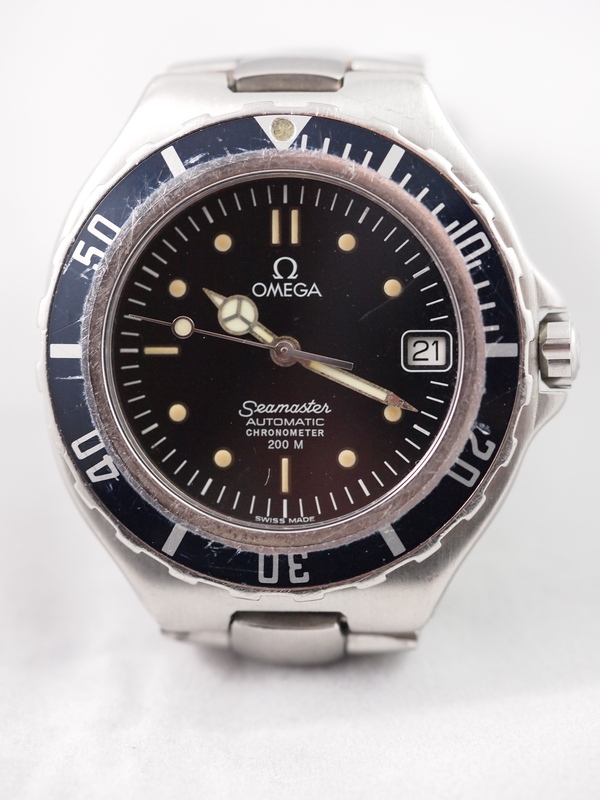 The gear that transmits power from the rotor to the mainspring and the bearings that the rotor revolves around had never been replaced since this watch was purchased in the 80s. As a result they had experienced significant wear and needed to be replaced. 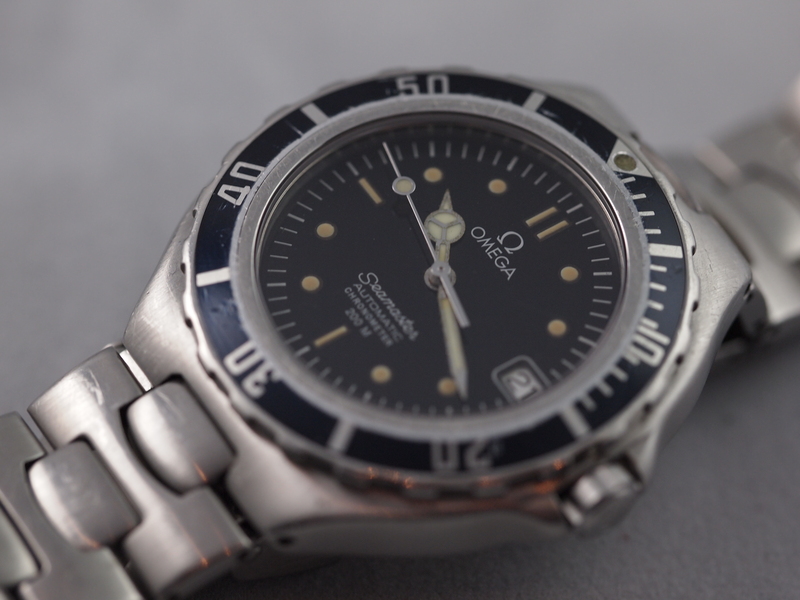 After a full cleaning, reassemble, and regulation the watch was running back within chronometer specs. Even knowing the timing read out, the timing machine can only tell you half the story, and after its run and regulation on it I put it on a final test winder. It ran perfectly through its power reserve but the problem appeared to be that it would not wind itself at all. 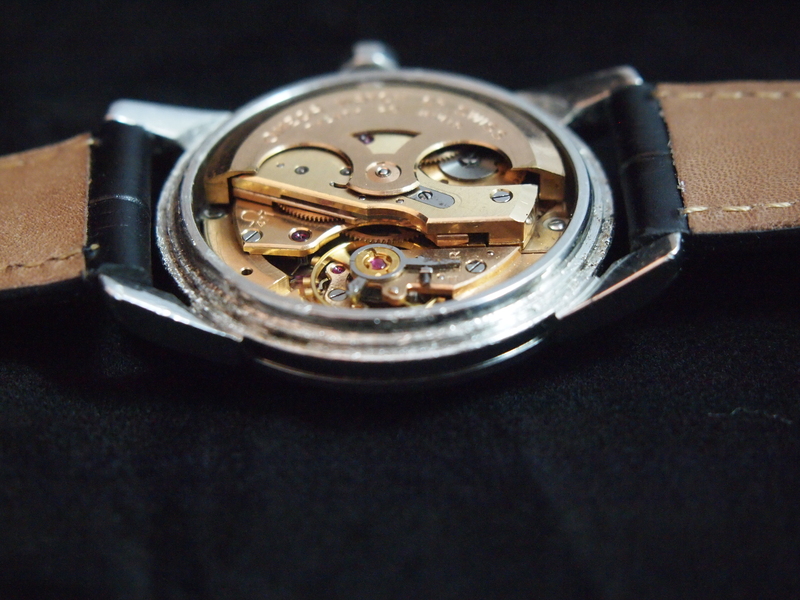 I removed the caseback and noticed a problem: the retaining ring that connects the rotor to its bearings was off its track. As a result the rotor was not turning properly. After correcting the problem, I put it back on the winder only to find the same problem again. This time however, the ring had come off entirely. This time my solution was to buy the proper tool to secure the ring. As soon as it arrived, I secured the ring properly and sure enough it solved the problem and the watch is running and winding perfectly. Next I got to the band. The time on the winder had caused the loose pins to jut out just a bit. I removed these one by one and replaced them with pressure pins. Although this did not decrease the give in the band, it made sure that my friend could wear it with a bit less fear of it falling off. This is unfortunately just a temporary solution. Once the metal stretches, it is almost impossible to get it to stop. Using ever so slightly larger retaining pins will only work until the metal stretches out some more. There are really just two long-term solutions: get a leather band made for it, or track down another better condition band. Neither of these options are cheap, but they can increase the wearability by decades. All back together, it is running well and the band will hold together. That being said, I was unable to do much to improve the external condition except for a cleaning. 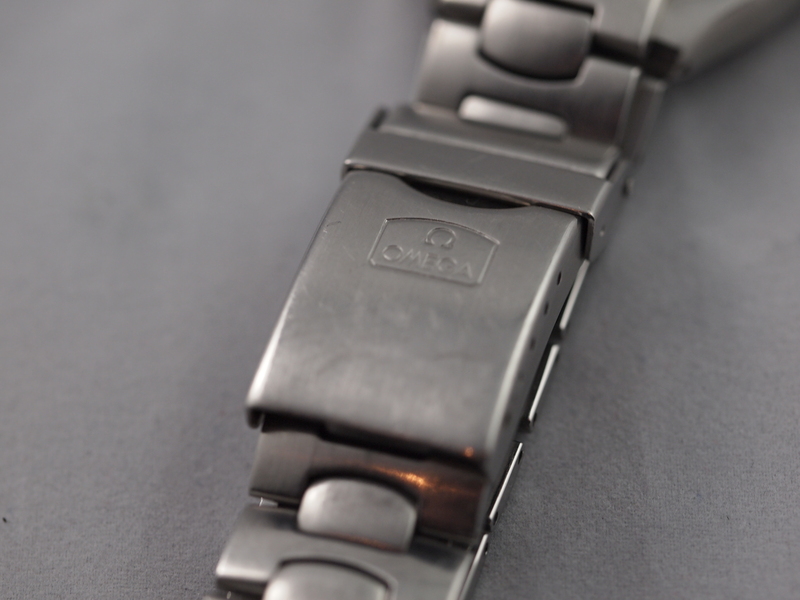 Most importantly however, for its owner, a very sentimental piece is wearable and running well. To polish or not to polish is a tough decision that is not made lightly. 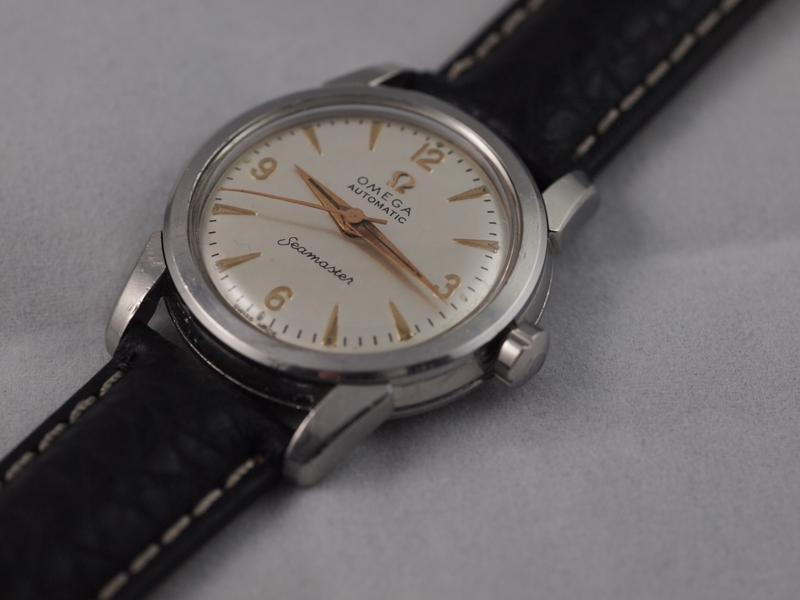 Proper case work is a delicate and time-consuming process that can enhance the appearance of a watch and bring a neglected or battered watch back to life. Unfortunately a generation of unscrupulous jewelers and watchmakers decided that force plus a polishing wheel equaled a polish job. The problem with this approach is that it removes too much material and deforms the original lines and case patterns. It also produces a horrific surface that is flat and shiny but reflects light in several different directions creating the dreaded “over polished” look. 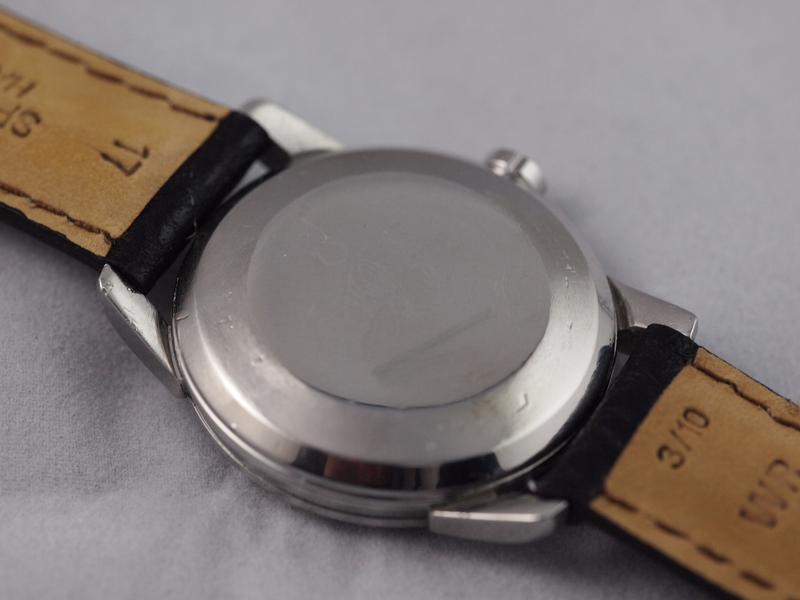 This most recent piece was an example of a watch that suffered bad polishing and then a rough wearer. 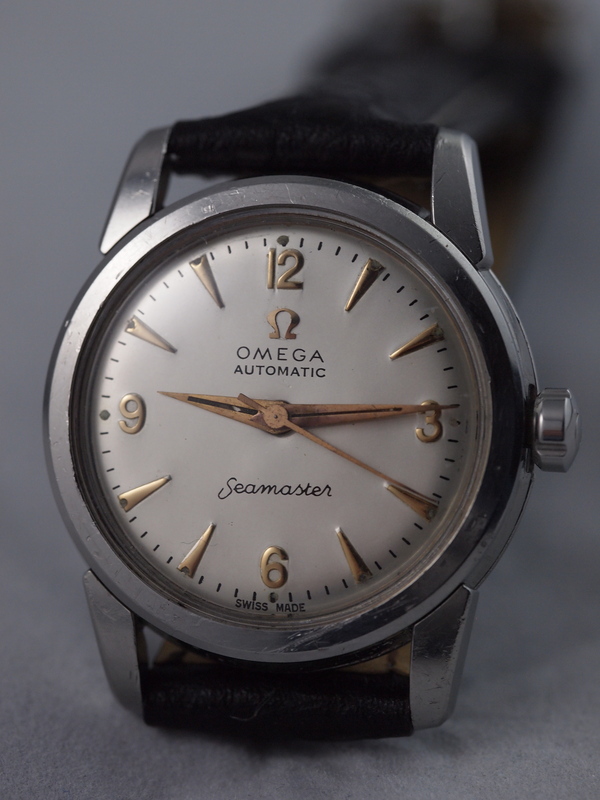 The Seamaster logo and “waterproof” had been mostly polished out of the caseback, while the front was clearly the victim of years of abusive wear. Even with this history, its rose gold dial and hands remained very well intact and stand out as a great contrast to the life outside the case. After a great deal of thought I came to the conclusion that there are two kinds of vintage watches: collector pieces and wearer pieces. 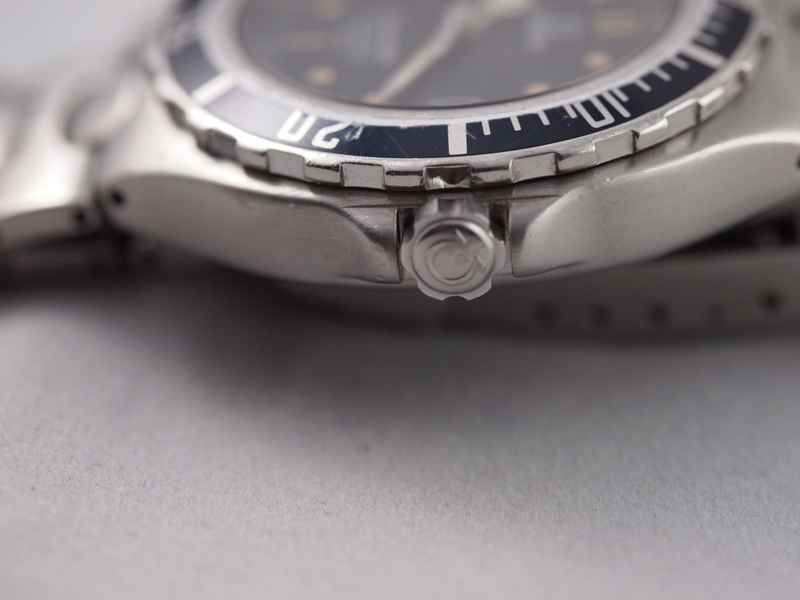 When buying and servicing collector pieces, the goal is to absolutely minimize your impact and preserve the originality of the piece inside and out. 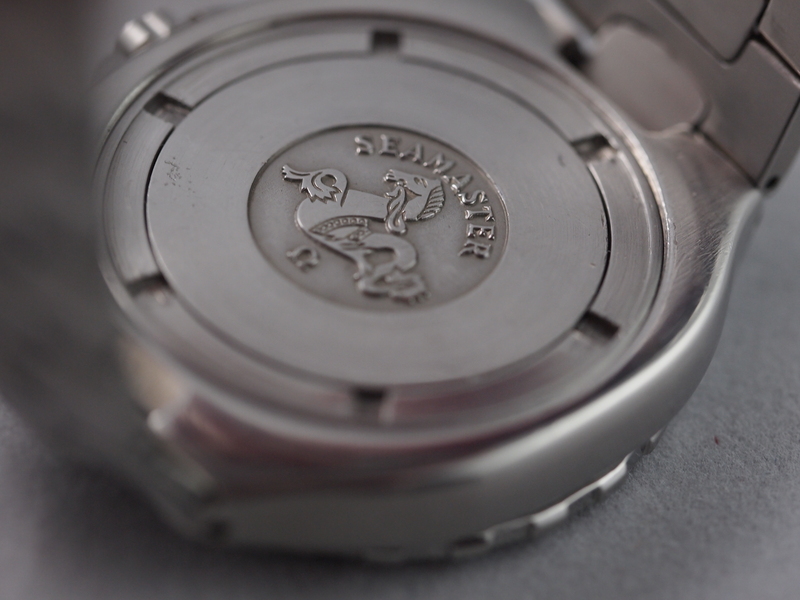 With wearer pieces the goal is to restore a watch to the best of your ability to its original beauty. 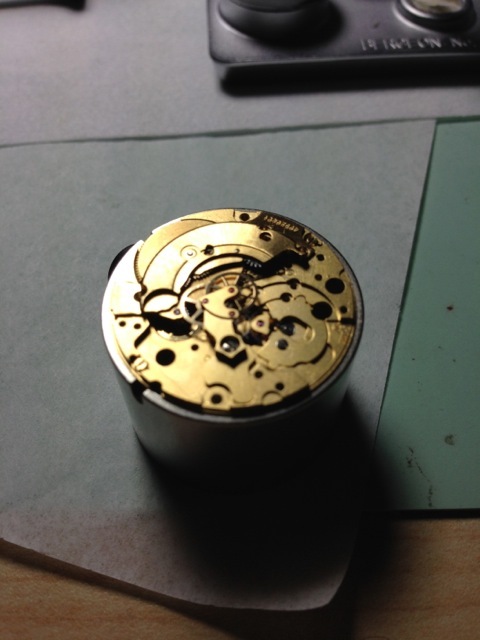 While I am a strong believer that reluming and redialing ruin a watch, case work can go a huge way in really bringing a piece back to life for a wearer. I made the decision to let this one be until it goes to a new owner. That new owner can make the decision that makes them happy. 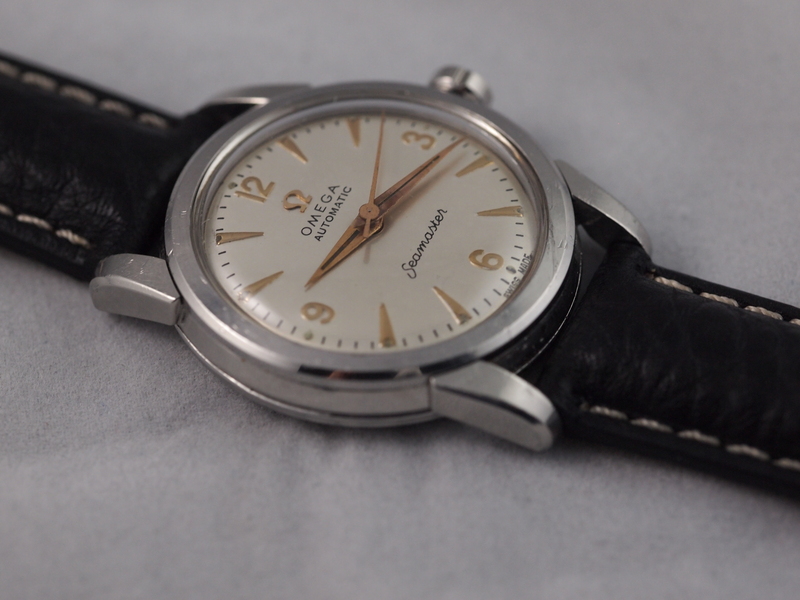 This Omega 471 is a great example of one of the first automatic calibers that Omega produced. It is a fantastic piece of history that deserved a new lease on life. 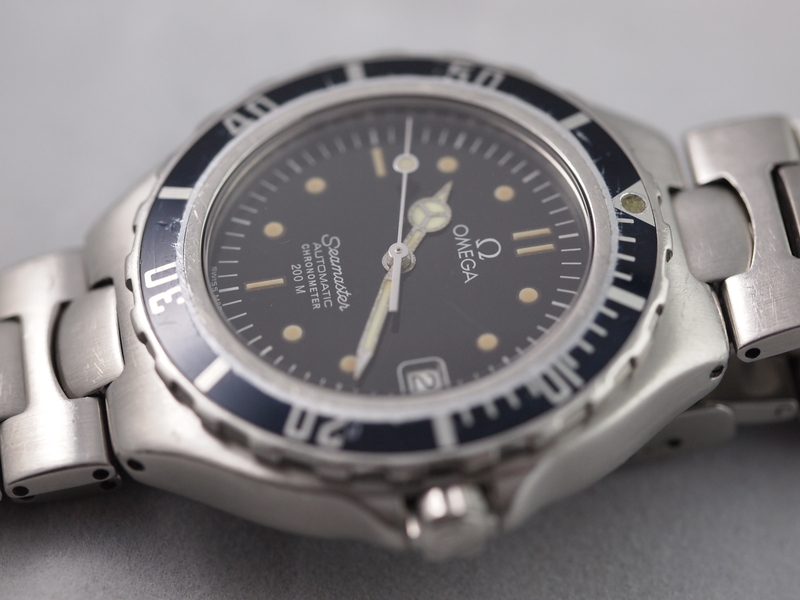 Unfortunately the last person to attempt this believed that Omega parts are more interchangeable than Omega lets on. This led to a slightly more costly restoration, but it was entirely worth it. 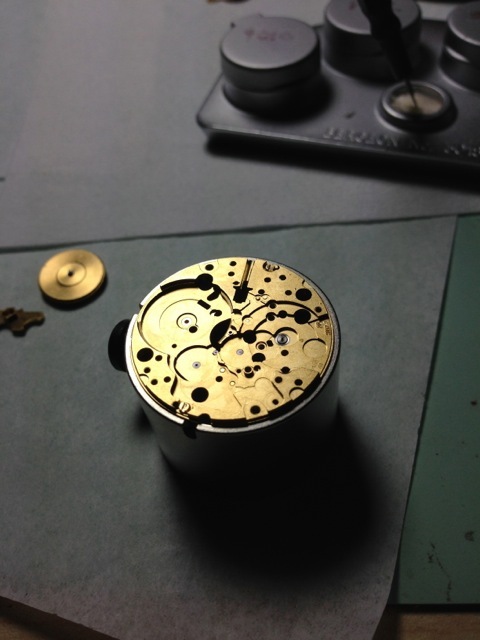 After a full disassembly, cleaning, reassembling, and oiling the movement was running crazy fast (+180-230 seconds per day.) My first instinct was to start at the power source, the mainspring. I replaced the mainspring, but still the rate was incredibly high. Then I took a long hard look at the balance and just felt that something wasn’t right. I took out a Caliber 500 movement I had and found the hairsprings to be identical. It was then I realized that this wrong heart so to speak was the cause of the problem. After getting the proper balance and installing it I regulated the watch to +/-3 seconds per day in all positions. Back together; it is stunning even in its unpolished state. The rose gold dial and hands are unique and are a beautiful contrast to the stainless case. 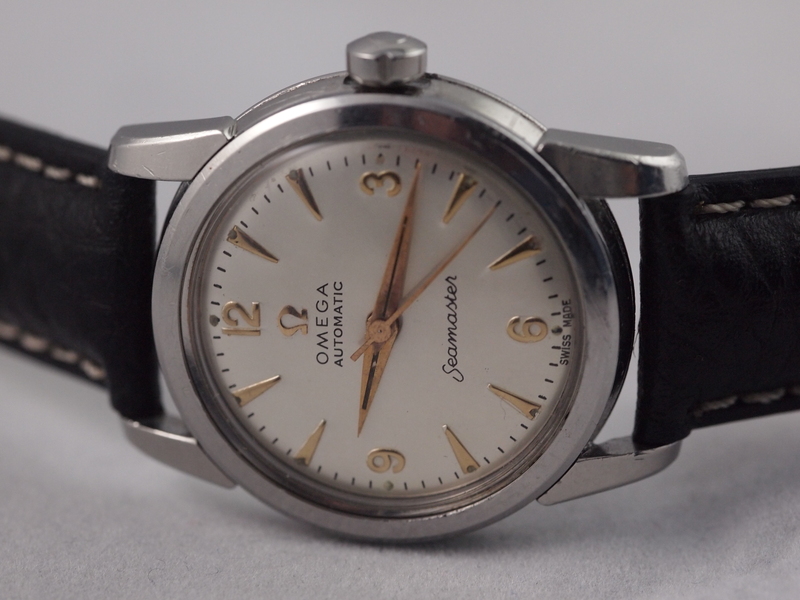 Although small by today’s standards, it is a great piece from the early days of Omega automatics.